KABF 88.3 FM heard our signal first transmitted from our tower on Crystal Mountain past the western boundaries of Little Rock on August 31, 1984. Listeners were excited that there was finally a noncommercial, community radio station in Central Arkansas, and organizers breathed deep sighs of relief, because the clear sound breaking through what had been static on the dial marked the reward for an effort that had begun more than 7 years before. The real roots of KABF lie in a nonpartisan political effort to establish “lifeline” utility rates in the City of Little Rock through an initiated referendum petition that came to a vote in 1976. Arkansas ACORN (Association of Community Organizations for Reform Now), a membership organization of low and modern income families founded in Little Rock on June 18, 1970 had been leading the fights at the Public Service Commission to halt inflationary increases in utility costs for gas, telephone, and electricity that were hammering their members. ACORN had made some progress but much of their success had been in whittling down huge proposed increases, which even in “victory,” still meant higher bills for their members. Finally, they struck upon a strategy of advocating a “lifeline” rate that would freeze the costs for the first 400 kilowatts of electricity at a fixed level so that lower income families would always be able to afford basic utilities in their homes. By getting a valid number of signatures for an initiated petition ACORN could put the issue on the ballot and if the voters agreed, enact lifeline rates. Similar petitions were filed by ACORN members in Fayetteville, Fort Smith, Hot Springs, and Pine Bluff, but due to legal challenges and adverse court decisions blocking the vote, only the Little Rock measure was approved for the ballot. ACORN waged an extensive campaign for approval that involved going door-to-door throughout eastern, central and southwestern Little Rock. In the last few weeks of the campaign, the utility company, particularly Arkansas Power & Light (AP&L), now Entergy, dumped tens of thousands of dollars in advertisements on television and radio in an effort to have voters reject the initiative. Despite everything, ACORN won the election with voters approving lifeline rates by a significant majority. Later court challenges by AP&L and a rural electric cooperative claimed that the cooperative had some dozen or so customers within Little Rock city limits and no large customers, whose rates would increase to compensate for the equalizing of rates which established lifeline rates, thereby making it confiscatory. The case for the utilities was famously handled by Webb Hubbell, who later became Mayor of Little Rock, and Hilary Rodham, who later as Hilary Rodham Clinton, became a United States Senator from New York, Secretary of State, and a candidate for President in addition to being First Lady while Bill Clinton was President of the United States. 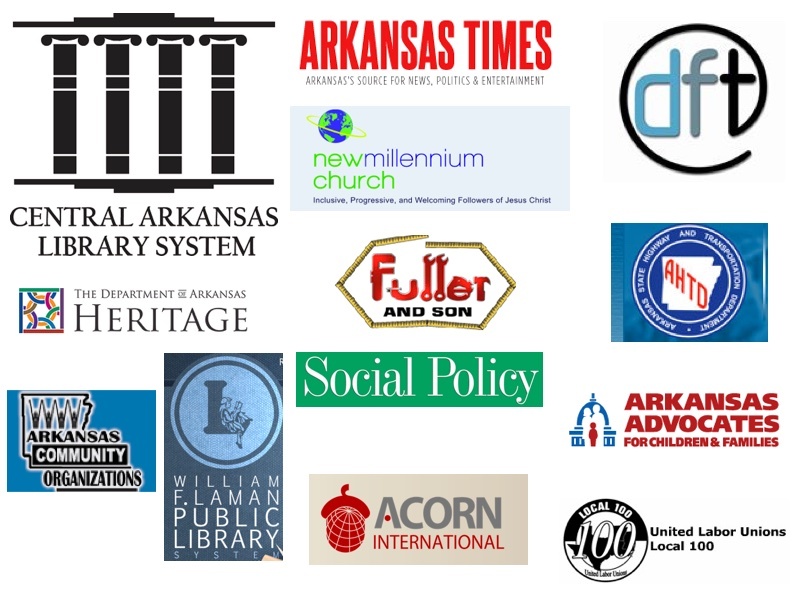 ACORN in analyzing its experience with the lifeline elections in Arkansas came to the conclusion that it would never have the money to allow its members to have the kind of media voice that money had bought the utilities with a membership of lower income families. On the other hand in extensive conversations with Lorenzo Milam became convinced that there might be accessible opportunities to create a “voice of the people” in noncommercial, community radio. Milam, often called the “father of community radio” at that time was establishing a 100,000 watt station in Dallas called KCHU that was working with the Dallas chapter of ACORN. Discussions between Milam and the founder and chief organizer of ACORN, Wade Rathke, led in subsequent years to ACORN helping found the Affiliated Media Foundation Movement (AM/FM) which resuscitated a construction permit in Tampa to put WMNF on the air, reorganizing KCHU after it went dark with money and internal problems through the Agape Foundation and what is now, KNON in Dallas, and establishing the Arkansas Broadcasting Foundation (ABF) which applied for a frequency of 100,000 watts, based in Little Rock. The road has often been rough as KABF opened the airwaves not only to low and moderate income families, but also to many other voices that were unrepresented in the community. There was a fire at the transmitter site in 1999 that put the station off the air and moved us to a digital transmitter. Many experts looking at the vandalism at the tower site believe there was an attempted break-in and damage at the site by individuals, never apprehended, offended by the fact that the station was allowing programming to touch on the issues of gay and lesbian rights, as well as women’s rights in general. 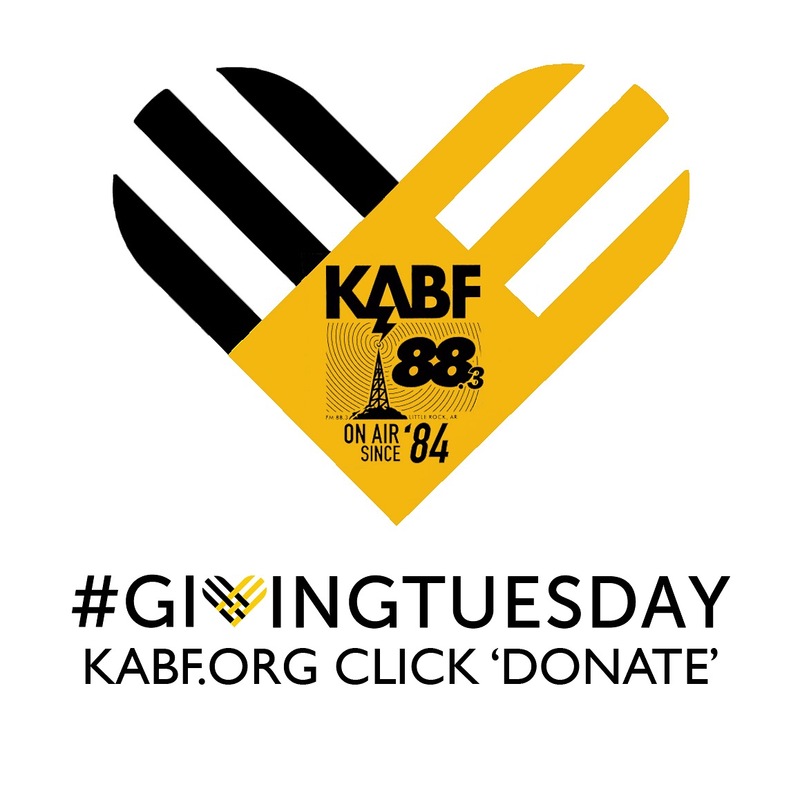 KABF takes its mission seriously and continues to be committed to its founding principles and to serving as a “voice of the people” not only in Arkansas but as far as the signal can reach through any available formats including rebroadcasting and the internet. The first 30 years has been quite a ride, and KABF looks forward to the next 30 years as a great opportunity to continue its mission to educate, inform, agitate, and organize by providing a platform for people to speak their truths and enjoy their music.